A bold showing against Southport seven days earlier quickly became a faded dream for Aspley as they capitulated by 127 points to Morningside at Graham Road this afternoon. The Panthers were simply awesome as they systematically broke down the Hornets, who never stopped trying but were hopelessly outclassed. 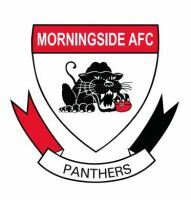 Morningside's whopping 24.26 (170)-6.7 (43) success was their fifth in a row and sets up a mouth-watering top-of-the-table showdown with Southport at Esplen Oval next Sunday. Aspley kicked with the aid of a strong breeze in the opening term on a ground which was heavily waterlogged down one side but reasonably firm on the other, and led by four points at the first change. Morningside kicked poorly at goal in the opening term and did not drastically improve in that area in the second quarter, but their general play was outstanding. They generated 18 scoring shots for a return of 7.11 for the quarter and the game was effectively over as a contest at halftime. Their third term was even more impressive, kicking seven goals to nil against the breeze, before producing a nine-goal final term to close. "We played pretty well. We're happy with the way we are progressing but we still have one or two things to improve on," said Panthers coach John Blair. Morningside won virtually every position on the ground, with Blair particularly happy with his defence. Jarrod Price, Nic Tomlinson, Alistair Nash, Jack Lawler, Ben Gibson and Brett Connell teamed superbly. 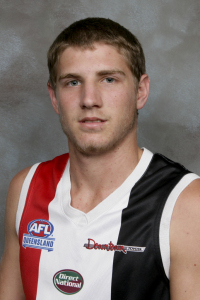 "When the backmen play like they did and you have a ruckman (Jacob Gough) who is doing his job, then the midfield are going to win their share of ball," Blair said. Paul Shelton, Nathan Kinch and David Lillico shared a mountain of possession, while livewire Hayden Wilson gave the Panthers plenty of spark in the forward line. Aspley's State squad member Lucas Matthews tried hard to stem the tide as did Matt Davis, but the Hornets were given a harsh lesson in what it takes to be a top two side in the Velocity Sports Cup.